Did I get your attention? I’m just so tired of snake oil salesmen convincing grocers that eCommerce is the one feature that they are missing. I get the buzz. It seems like every week another major chain or big box store is announcing some enhanced eCommerce offering. Kroger just announced using robots for fulfillment, Instacart and Shipt continue to make headway, etc. The grocery industry has been investing big resources into getting online grocery shopping right, but what do the shoppers have to say about that? A recent Gallup poll indicates that consumers are less than enthusiastic. In Gallup’s survey of 1,033 U.S. adults, 84 percent said they never order groceries online. About 11 percent order groceries online for pickup or delivery twice a month or less, while only four percent do so once a week or more. And before you start telling me about the exponential growth in those numbers in the next “few” years, let me point out that eCommerce companies have been making those arguments since Webstop started back in the late 90s. Web Van ring a bell? Are you feeling the pressure to get your eCommerce initiative going? Maybe you’re reading articles, watching trends among the big-name stores, and talking to people who are telling you that you don’t stand a chance if you can’t get your store operating online. In the latest episode of Cut the B.S. 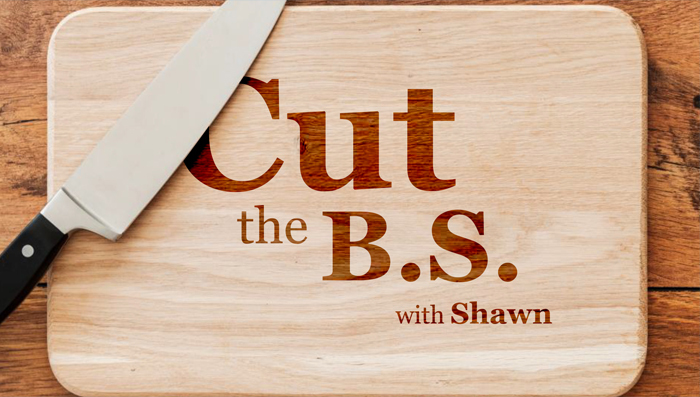 with Shawn, Shawn explains why grocers may be making a huge mistake investing heavily in a service that the majority of customers are not yet demanding. Could eCommerce actually make you lose sales? It’s possible. There is actually a significant risk of losing sales if you’re focusing on the latest online shopping features and home delivery opportunities while ignoring the fundamentals that are proven to keep your current customers engaged and bring in new shoppers. How are you currently doing with these fundamental marketing initiatives? Also, remember this: eCommerce actually keeps customers out of your store. That means the immediate loss of the impulse buying opportunities that generate big profits. Sure, there are recommended products within eCommerce apps, but is that enough? Webstop is certainly in favor of eCommerce and curious about what the future holds. We watch businesses like Amazon* closely to see what’s working and what isn’t. We need to be relevant and savvy. However, nobody has currently proven to have an online shopping system that works best and generates more business than brick and mortar–except maybe Amazon*. There have been a lot of failed attempts, and we want to protect our clients from experiencing losses from a system that has taken years–decades, even–to build. Instead, let’s improve on the digital marketing tools we KNOW are successful, and be wary when big capital investments in eCommerce are being characterized as the only way forward. Truthfully, most business analysts and retail experts agree, it’s going to still be many years before the majority of customers prefer to do the bulk of their grocery shopping online. Webstop can successfully help you move the needle on your business profits today. *So, why can Amazon do it and not me? You’ll have to watch the video to find out.